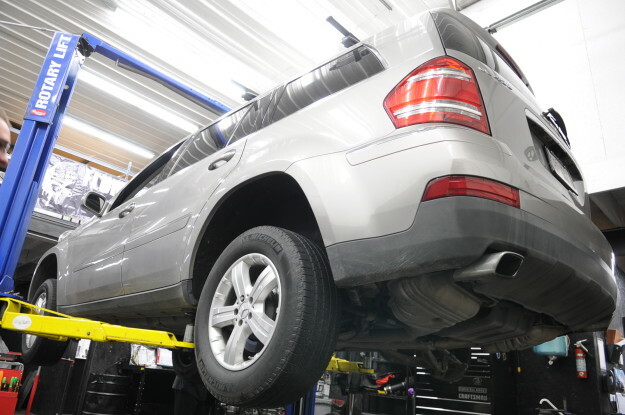 A loud humming noise coming from your vehicle that increases with speed could be a sign that one or more of the wheel bearings has gone bad. Recently, a customer with a 2007 X164 GL450 came in with a complaint about a noise that got louder the faster the car went. Test driving the vehicle, it was apparent that there was an issue with the drivetrain. So in order to better isolate the noise, we performed the sway test on an open, traffic-free stretch of road. Go at the speed where the noise is prevalent, take the vehicle and steer the wheel carefully side to side in a slow and sweeping motion. If one side is affected the noise will get louder then, will quiet down with the change of direction. This means the issue is one side of the vehicle (wheel bearing) as opposed to something that is shared, (such as a differential). To further confirm the issue we placed the vehicle on a lift and drove it in the air. With the wheels spinning freely we took a stethoscope and listened to each of the bearings. 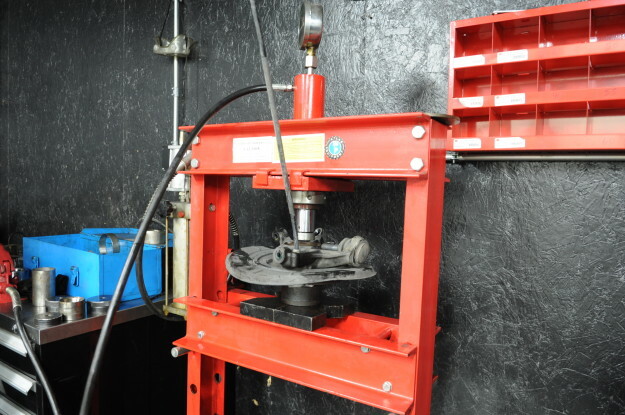 This allowed us to verify that the left rear was louder, therefore most likely the problematic bearing. This job can be somewhat difficult, especially here in the “salt belt” state of Illinois. 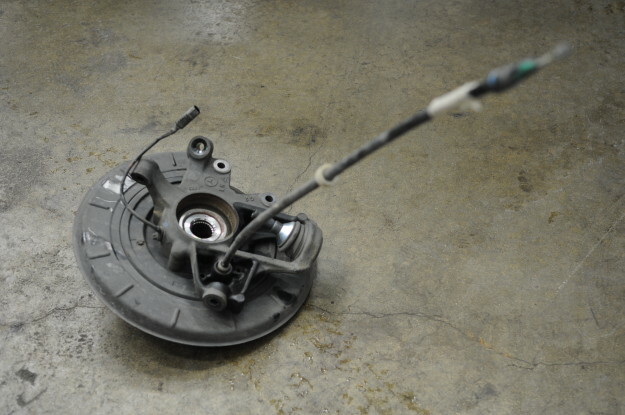 The bearing carrier and wheel hub is removed from the vehicle in order to press out the bearing. 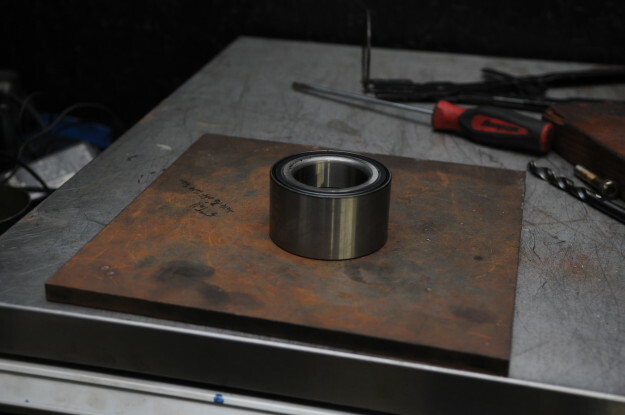 Rust can seize the bearing in place meaning you’re going to need a lot of patience. Experience getting them out also helps. With the new bearing in place, the noise on this GL was gone. We suggested that it was time to replace the brake pads in the rear, and since most of the disassembly was done on the left side, the customer saved money on installation of the new Textar Mercedes Benz brake pads. 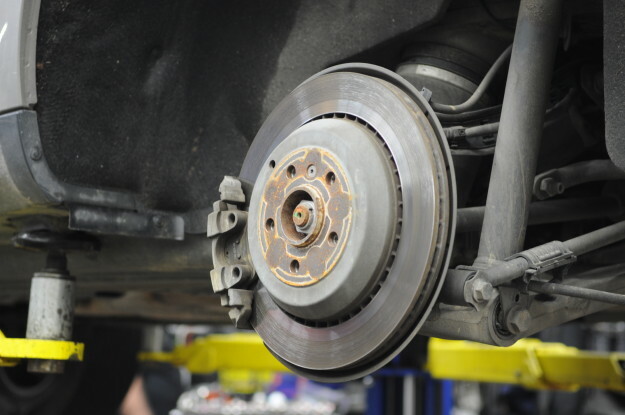 If you’re being driven crazy by a noise coming from your vehicle and need help figuring out what is causing it, or if you just need some brake pads replaced, don’t hesitate to dial us at 630.305.3054, or contact us through email at info@fluidmotorunion.com!